HotSchedules is an employee scheduling application that enables to plan and manage workers and their tasks in a given company. Sending messages, synchronizing programs and other options can be performed via this app. It is essential for both managers and team members. Bugs are fixed for this latest version. Schedule manager: HotSchedules timetables almost everything concerning work in a given company. For instance, this application enables to set up the employee and even employers' programs such as shift work, customer care and reports if there are. 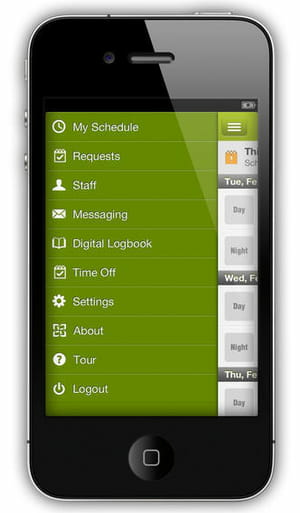 Owners and managers: for the employer, he can manage all schedules via this app. For instance, he can view the roster and employee contact information with a simple tap on the screen and create a notification system to alert of an event or an assigned task. It is also possible to message an employee to remind him of a task to be fulfilled. Team members: as for team members, HotSchedules helps to view work schedule wherever they are and at any time. They can also send messages to each other and synchronize HotSchedules's database with their own calendar. Messages: both the employee and the manager can exchange messages to each other. It can also be an email to remind an employee of a work to achieve at a given deadline. It is possible to view the historic of these messages. It can work on iPhone (optimized for iPhone 5), iPad and iPod touch. It is not available in other languages than English. Latest update on September 22, 2016 at 04:47 PM.